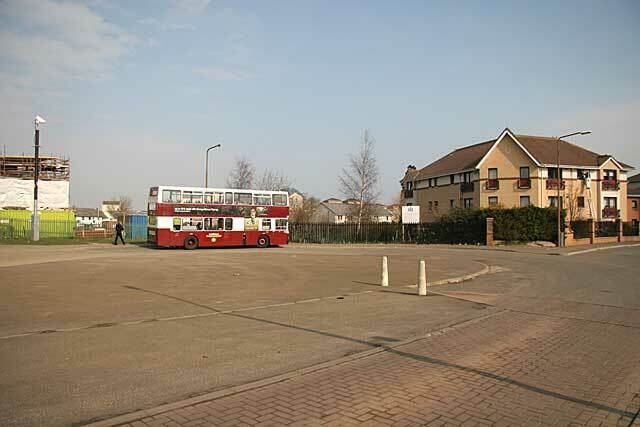 This view looks from Greendykes Road to the NE, towards the southern terminus of Route 14 at Niddrie House Avenue. TO THE NORTH AND EAST: Greendykes housing, some new, some re-furbished, and beside the bus stop on the left, a new 60-place Care Home under construction. and over the hill to the new Edinburgh Royal Infirmary.